Matthew spoke about the over-arching purposes of God in choosing a people and promising to Abraham that through his seed all the nations of the world would be blessed. Matthew spoke about the over-arching purposes of God in choosing a people and promising to Abraham that through his seed all the nations of the world would be blessed. His people were to be an example of living holy lives in reverence to God; however they soon turned aside to follow other gods and follow their own way. God sent many prophets to them to try and win them back but to no effect. Eventually God orchestrates that another nation, Babylon, takes them into captivity for 70 years. The first part of Isaiah speaks into this time. It looks to all intents and purposes like God’s mission and promises have failed, however the second part of Isaiah heralds a mysterious ‘Servant’ figure, whom He would send to accomplish what Israel had failed to do. 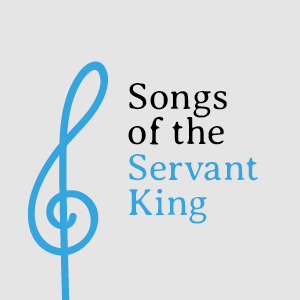 Here in 49 the servant speaks in the first person about himself, many of these descriptions we see in Jesus’ own life and in particular Phil 2: 6-11. Jesus accomplished what Israel had failed to do; he lived his life in total obedience to his father, even to the point of death on a cross. He is the light of the nations, not just a bringer of light. Through him God accomplishes two great works, spoken of in this passage, bringing Jacob or Israel back to himself, and reaching the ends of the world, the gentile people, with salvation. The amazing turn-around is that now we his church, his people, can be lights to the nations we are in. God always wanted a holy people set apart for Himself that would be obedient to his commands, and purposes. Look at the passage and talk about how each attribute applies to Christ, and what that means for us. There is a theme of ‘obedience’ for his people, Israel failed, but Christ accomplished it. What does that say for his church today? Being a light to the nations, is something Jesus is: see John 1:4. But He also says we are the light of the world Matt 5:14-16 what does this mean for you and me in our work places and friendships?